Mercedes van service offers from Boxer and Bosch mean you get the best possible value van service, whether you operate a fleet or a single van. As specialist technicians with a genuine affinity for the smooth efficiency of German motor engineering, we aren’t just a great choice for German car repairs- we also offer specialist professional van servicing for many of the commercial vans being operated in the UK today. More and more tradesmen, as well as businesses large and small, are investing the unsurpassed quality of a German commercial van, such as the Mercedes Sprinter, due to their great record as a cost effective, high performance working vehicle. What would happen to your business if your van stopped working today? Our knowledge of German motor engineering isn’t limited to cars- we can MOT, service or repair your Mercedes or VW van efficiently and cheaply, giving you a superior service while minimising the time you’re off the road. Both commercial and private customers can come to us to get the finest van servicing without compromise. A working vehicle is bound to get banged about a bit- it’s the nature of work. Loading and unloading, site work, or just a scratch here and there- it can’t be avoided. Practical, hard-working commercial vehicles need a higher standard of care and an efficient, professional team: every day it’s in the workshop, it’s not on the job. 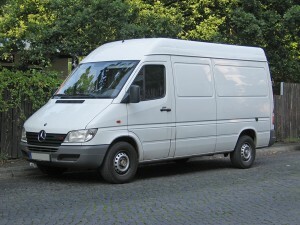 Mercedes Sprinter, VW Caddy and VW Transporter Vans all get expert care at our Ashford workshop. We’ve been keeping West London’s tradesmen on the road, on schedule and on budget for 32 years- and we won’t stop now. Our workshop has been repairing vans, helping van drivers and fleet owners keep their businesses running through our efficient, expert repairs services since 1985. In that time we’ve built a reputation for the highest standard of repairs, attention to detail and friendly, straightforward professionalism. 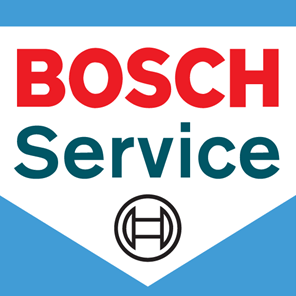 Our workshop is equipped with the very latest, cutting-edge diagnostic equipment from Bosch, which we pair with our decades of experience, to ensure you get the complete picture of the state of your van engine- nothing left to chance. Our team use state of the art testing equipment that comes straight from the Bosch labs to build a precise, scientific picture of what needs doing to your van, whatever make it is. This simply means you won’t pay for any unnecessary work. From a man ‘n’ van delivery service to a commercial fleet operator- any problem with your vehicle matters. So don’t take risks with the future of your business. Keep your paperwork up to date and on top of the condition of your van with us: a van MOT is a fast and cheap way to cover your van’s driveability for the immediate future, getting a picture of any problems and getting the paperwork up to date. Don’t leave it until you’re broken down on the site to discover your van needs a service. A fault fixed early is a fault fixed cheaper- a fault left is an expense your business will have to work to shoulder. Contact us today to learn more about our Mercedes van offers and other great value van repairs and commercial van MOT services from Boxer Motor Works today!